The issuance and monetary policy is set by the Roll smart contracts and cannot be changed arbitrarily by the issuer or any other third-party. Roll smart contracts are publicly verifiable on the Ethereum blockchain. 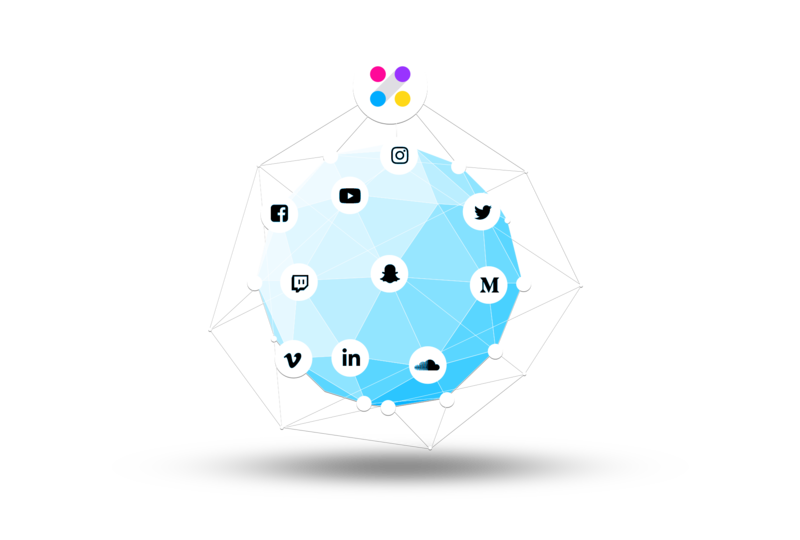 We’re building a personalized social currency layer for the world. Roll lets anyone create their personalized branded social money, and more importantly, provides pathways to encapsulate value via existing networks. Each issuer has their own unique network, which has its own unique social value. By creating a unique currency for each issuer, this value is captured by the issuer and their network, and not a third-party, middleman, or platform. By creating branded social money on the blockchain, it will exist as long as the network exists and its participants find it valuable to transact in that currency, even in the absence of any other companies or entities. Alice engages her audience by offering AliceCoin. E.g. She gives coins to people that recreate one of her looks from a past video enabling several hundred of her fans to engage in the creation of instagram posts, replicating her look to get rewarded. Alice creates an opportunity where fans can snapchat with her for a few minutes in exchange for AliceCoin. People who own AliceCoin can spend them to get a 1:1 personal snapchat with Alice. After a fancoin is issued, Roll provides tools to distribute fancoins to existing and new fans and stakeholders. It then provides pathways to use these fancoins across the web for unique experiences and opportunities, thus closing the economic loop and making fancoins valuable to the network for continued use. 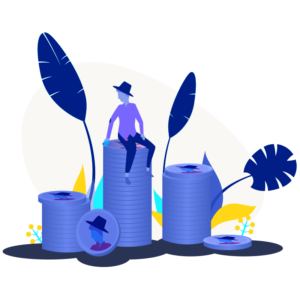 Roll also ensures that the monetary supply of fancoins is defined in the Roll smart contracts, thus allowing both issuers and fans to hold the value of their social interactions for the long term in fancoins. Issuers determine all the ways in which their fancoins will be distributed and used by their followers, fans, and network, effectively setting their own market for fan interaction. Roll wraps around the entire social web and makes the distribution of social money as simple as sending a message. Roll also acts as a payment gateway when it’s time for fans to spend fancoins, enabling fan experiences and interactions across the web. There will only be 10 million units of a given fancoin (AliceCoin in the example above) in existence. Not even us, or the issuer, can issue more units. Everyone is bound by the smart contract code on the Ethereum blockchain. The Roll network will programmatically issue 2 million units of your fancoin to your Roll wallet after signing up. This is to allow you to create an initial distribution of your fancoin to your network, friends, family, colleagues, and fans. You can incentivize your fans towards valuable calls to action by rewarding them with your fancoins. After that, your Roll wallet accrues 200,000 units of your fancoin a month over a period of 3 years. Your fancoins will gain value as your network grows now and in the future. There is a continuous flow of your fancoins from you to your fans and then back to you, keeping the economy going. We will keep you updated on Roll. ©2019 Turing Holdings, Inc. All Rights Reserved.